This 4Runner is a long time dream made true. It all started in 2007 when we sold my beloved ’99 SR5 4Runner to get two new cars – with the best of intentions. While Brandon has always had a love for all things automotive, he began with building off road trucks, then on to drifting. However, my passions were different, but crossed in some paths. I enjoy being in beautiful places, travelling and appreciate a powerful looking SUV. We discovered a place where out interests intersect – building an off road vehicle together and going on adventures to those said beautiful places. Our first off roading experiences together were in a 2000 Ford Excursion Diesel with an ICON 3’ Shackle Kit. These took us to places nearby like the George Washington National Forest and the Outer Banks. 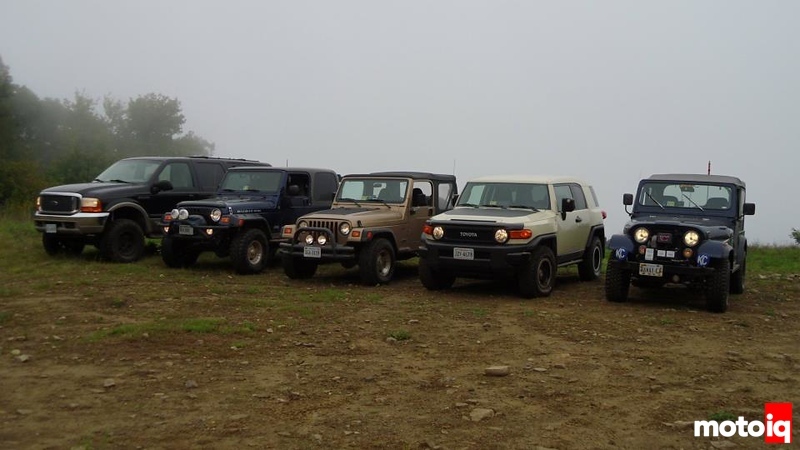 While the Excursion was capable off road, it was meant to just be our towing vehicle. Well…we solved that in March, when we traded in the Excursion and came home with a 2013 SR5 White 4Runner 4WD. While this truck looks sharp and is quite capable stock, there was already a vision for it: to build a technically proficient off road truck while maintaining on road performance. We opted for the SR5 for the 3rd row seat as well as the lower cost. Follow us now as we embark on Part 1 of this journey. The Excursion off to the left. We started with the suspension, tires and wheels. We reached out to ICON Vehicle Dynamics, Toyota Racing Development (TRD) and Nitto Tires. 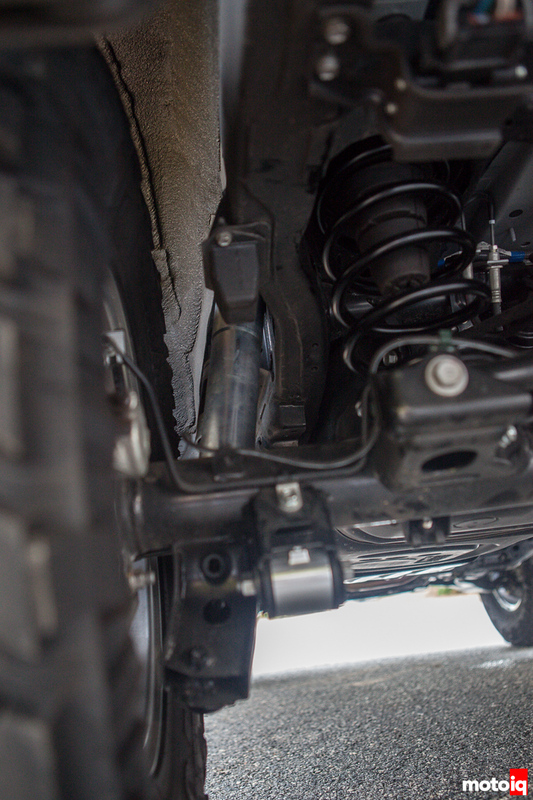 Straight from the mouth of ICON – The ICON Vehicle Dynamics Stage 4 suspension system for the 2010 + Toyota 4Runner is the best overall handling bolt on suspension system you can install. This system can handle any terrain you throw at it and gives you unsurpassed ride quality on the street and the performance offroad is incredible. 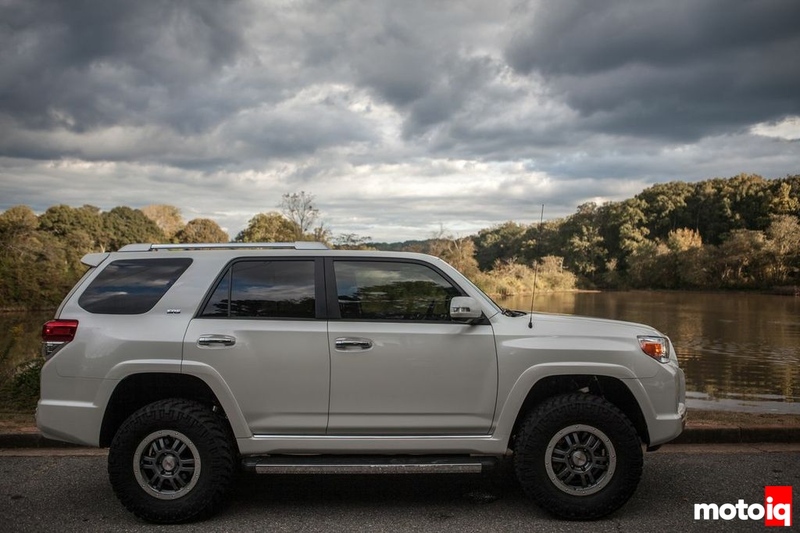 The rear springs in this system give the 4Runner 2″ of lift, and the rear billet lower links help manage the rear axle so that it can cycle smoothly without bind. ICON’s V.S. 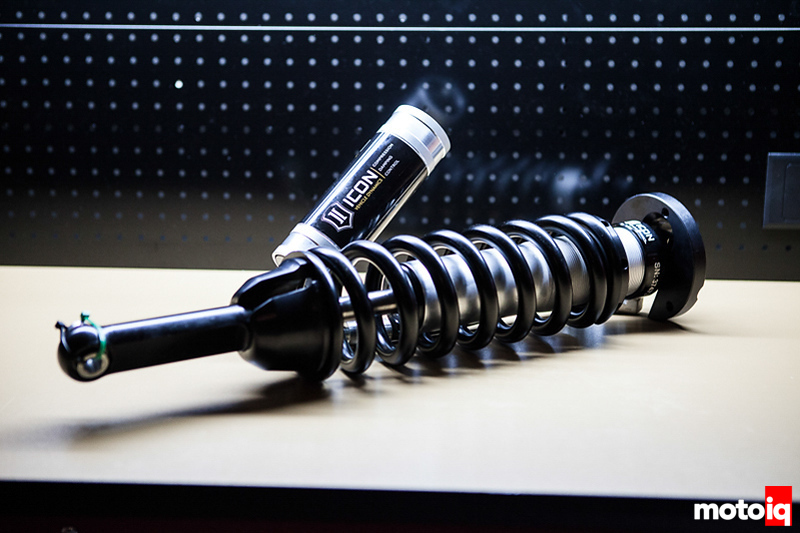 Series 2.5″ Diameter Rear Piggyback Shocks make vast improvements compared to other systems for the people that use their vehicles in various on and offroad situations. 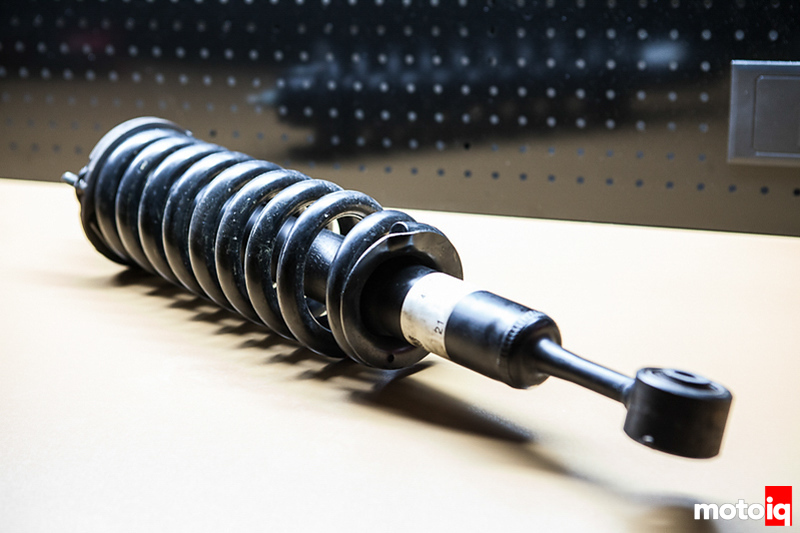 These shocks are tuned specifically to give your Toyota 4Runner a balanced and smooth ride quality, along with extended length shock cooling from the increased oil volume and piggyback reservoir. 57710 4Runner 2.5″ rear shocks have a built in bump zone to increase your compression valving in the final two inches of compression travel, which prevents a harsh bottoming out sensation, and gives the vehicle a much more controlled ride quality. Beginning the installation with removing the stock upper control arms. The installation was simple and straightforward iff (if and only if for the non-nerds out there) you followed the instructions. I, being a bit over confident, created quite a bit of extra work for myself by assuming that I, of course, knew all. All of us here know how to remove a bolt, take out the old and replace with the new. ICON, in their wisdom, took the typical “old parts out, new parts in” and used a bit of engineering to construct a process that works rather smoothly – when followed. We commend them for this effort because it is time consuming and does not directly generate revenue. It is, however, indicative of ICON’s commitment to excellence and thus creates extremely loyal and grateful consumers. Furthermore, I’m not exaggerating when I claim that every bit of this kit is built as a complement to the whole. It is clean, simple and wildly impressive. We cannot wait to introduce some abuse. Look at these beauties. 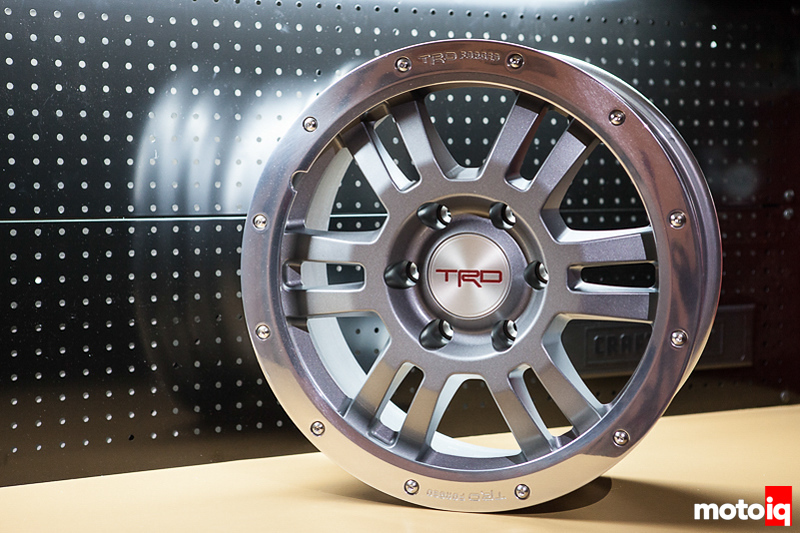 TRD manufactures these 17×8 forged wheels that will bear the impact of Project T4Rs chosen path. Forged wheels are lighter and stronger than cast components as they are subjected to intense heat and pressure that transforms a solid chunk of aluminum material into what you see here. The disadvantage is they are typically more expensive. In the world of performance wheels, we believe that TRD has effectively blended monetary expense with ultimate strength to weight ratio. 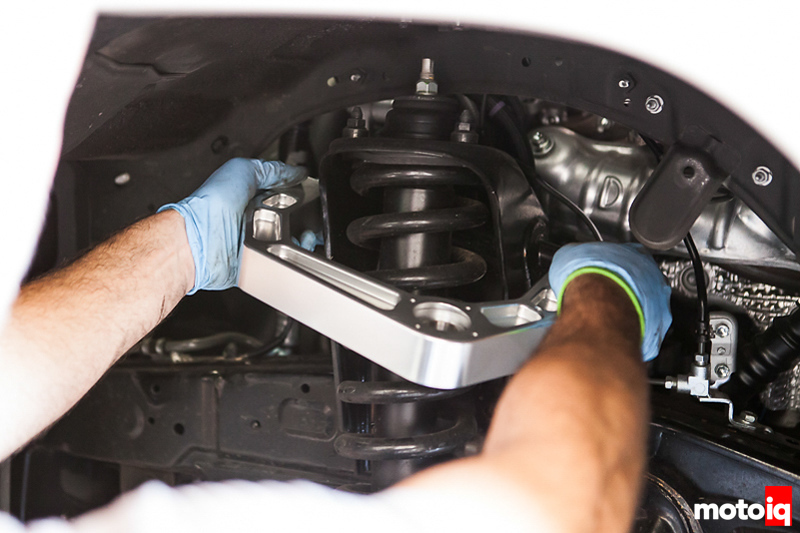 Reduced unsprung weight improves performance in both handling and steering response. For the potential or current owners of 5th Generation 4Runners, know that these wheels are made to work with the stock wheel studs as well as OE hub bosses without the need for a centering ring. Nitto Trail Grappler with the new TRD wheels waiting their turn during the installation. The Nitto Trail Grappler 295/70 R17 is Nitto’s newest blend of Terra Grappler on-road comfort with the off-road performance characteristics of the Mud-Grappler. 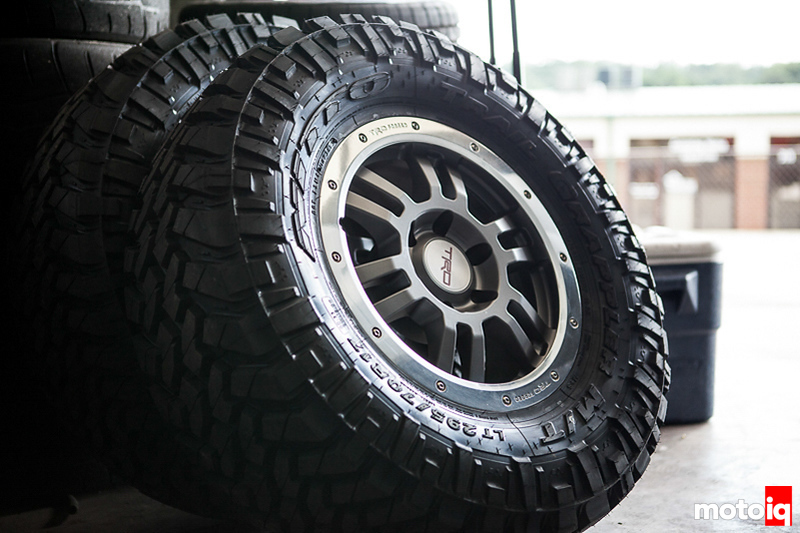 The 3-ply sidewall Trail Grappler has two different sidewall designs that can be selected when mounting the wheels. The 295 size tire is quite beastly situated under the 5th generation 4Runner. We initially opted for the 285/75 R17 but were met with an unavailability issue and thus chose the larger 295. This tire does scrub both on the fender plastic (front) and the rear body mount. We will be following Part 1 with an article illustrating the well-known body mount chop. That aside, we have found the initial on-road performance to be quite good and the sound levels are dramatically lower than many of the other tires of similar tread style. In fact, the combination of the ICON suspension and Nitto Tire is thrilling; it has me pushing the truck as if it were one of our performance cars. This is the factory front coilover. 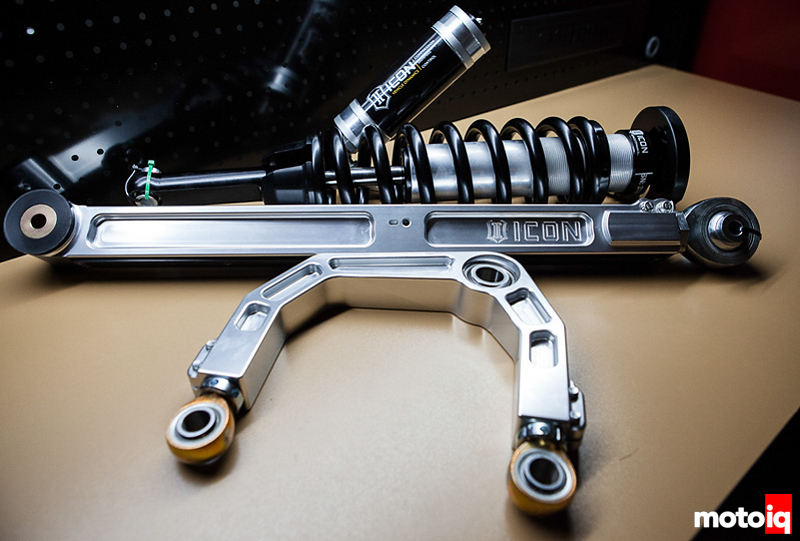 The first thing that catches your eye on ICON’s front coilover shock is the relative thickness of the lower portion of the housing as well as the billet aluminum upper mount. Additional strength is accompanied by increased suspension travel, adjustable ride height (0-3”), a chrome silicon spring, and a no-rust nitro-steel shaft. Shall we run the list further? This coilover features flutter stack compression valving, ⅝” PTFE-lined spherical bearing, 250 psi nitrogen-charged internal reservoir, and once you get a few more miles down the road it is fully rebuildable. In the background and embroidered with the name it represents is the 2.5” CDC Valve. An externally adjustable valve through 1 click increments, it restricts oil flow into the reservoir creating 10 levels of compression damping. This feature provides for adaptation ranging from soft to firm to properly match the terrain of choice. We are here to prove that offroading “ain’t just ‘bout big ‘ol tires.” Ironically, we currently have a “big tire” scrubbing problem. 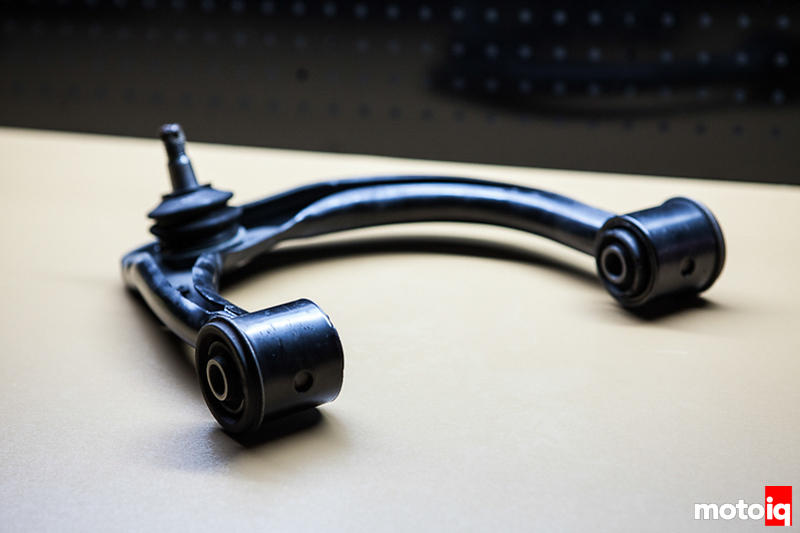 What would this factory upper control arm look like after going on an ICON Vehicle Dynamics diet of billet aluminum and 17-4 heat treated stainess (uniball and taper components)? Let’s move on and find out. Beefed up, right? 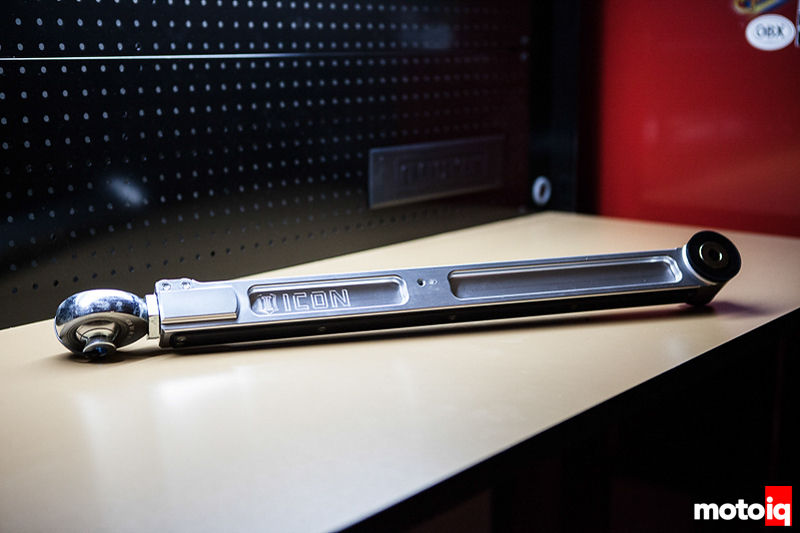 Here are the ICON pinch housings that are also found on the aforementioned ICON billet aluminum trailing arms. They allow for correction and modification of both caster and camber. The 1” PTFE lined uniball builds in further strength, durability and, best-of-all, articulation. 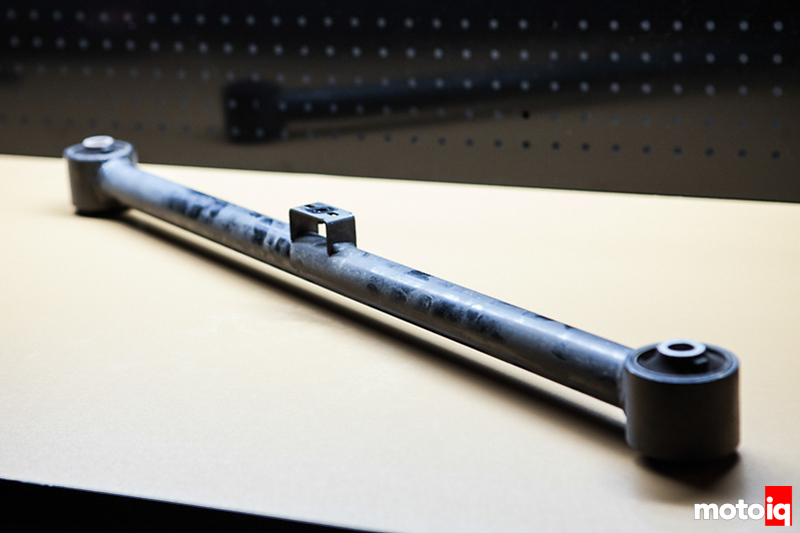 The ICON upper control arms are an easy fit into the factory pivot mounts with or without a suspension lift. We adjusted the arms in to get the camber within the factory specs and caster maximized within factory specs (more clearance). We set the rear lower control arm eccentric all the way out and the front eccentric half-way to optimize the wheel position. For the rear, we elected to use the ICON 2.5” diameter shocks with 5” piggyback reservoir for added heat dissipation. They are very similar in construction to the front coilover. The lower mounting point of the shock contains a COM12 spherical bearing to minimize deflection. Again, even the smallest component is built to enhance the entire system. Also seen here is the mount point of the billet lateral arm as well as ICON’s 2” lift coil-springs. This is the factory lower link / lateral arm. Honestly, this OEM piece seems tough and rugged; that is, until contrasted with that of the ICON prescription. This is not the relatively flimsy factory lower link. 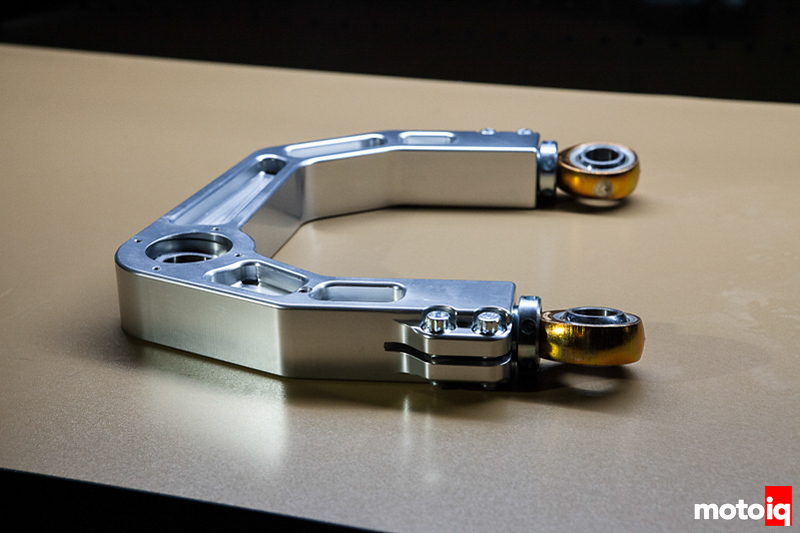 This is ICON’s Billet Aluminum Rear Trailing Arm. It is surprisingly light. It is tough, with a load rating of over 40,000lbs of pressure and recoverable JM16T rod ends and Johnny Joint pivots. It is also easily adjustable with ICON’s pinch housing (just above the logo and to the left) that are also found on their Upper Control Arms. It is armored. Wait, armored? Yes, ICON ingeniously placed a nylon rock slider along the leading edge of the arm. If you look closely, you can see along the bottom of the arm. It is important. Pinion angle and minimal deflection are imperative when it comes to maintaining proper suspension geometry while traversing your chosen path. 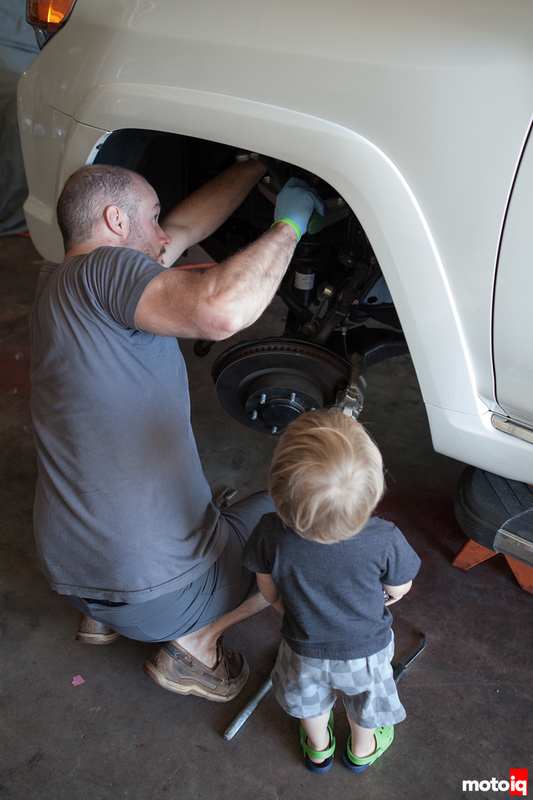 A little assistance was required during the installation from our 1 year old, Rhys. Here she is now. Part one of this adventure is in the books! What do you want to see out of this build? 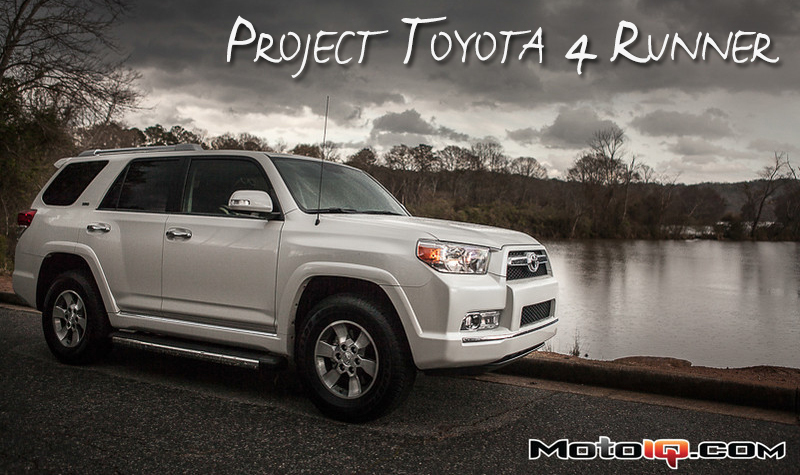 We are quite new to our 5th Generation 4Runner and want your feedback! Of course, we aren’t stopping here with the modifications. The next steps will be some shaping up of the current issues (tires scrubbing) and then deciding on the armor – new bumper, sliders and skid plates.